You are here: Home / Uncategorized / Croatia: Corruption And Bribery – Former President Stjepan Mesic Named In Finnish Indictment? One of the largest bribery/corruption cases on the international scene are the Finnish State Prosecutor’s cases of corruption and bribery against managers of Patria armoured personnel carriers contracts that has already in its offshoots seen the Slovenian former Prime Minister Janez Jansa behind bars since June 2013. 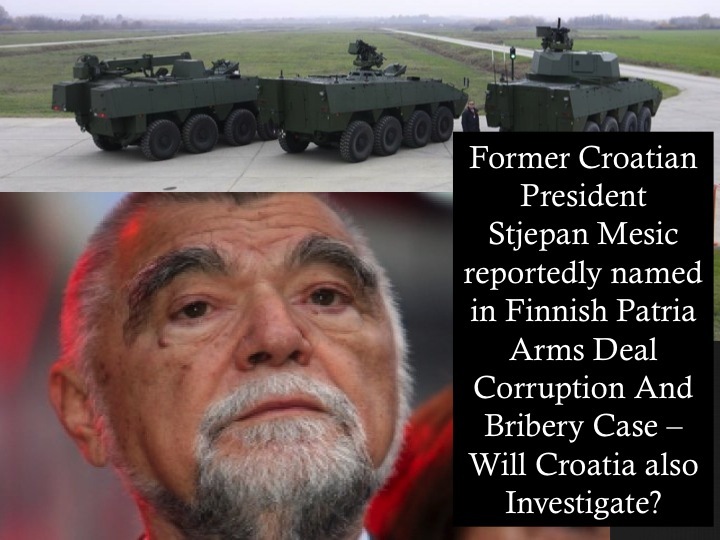 Croatia’s former president, Stjepan Mesic, has for a couple of years or so been denying any involvement in the Patria Arms deal alleged corruption with Croatia during the years of his presidential mandate. He has consistently distanced himself from the deal and only too swiftly accused the media of underhanded malice and lies at any mention of suspicion against him. Indeed, he called it all a political witch hunt and work of a political intelligence!. The former Croatian president Stjepan Mesic 1% (cca 630,000 Euro), to the former Croatian Prime Minister Franjo Greguric also 1% and to the director of Croatian company Djuro Djakovic, Bartol Jerkovic, 2% of the bribe for “helping” in the sales deal of Patria armoured personnel carriers to Croatia. The initial bribe amount was reported to have been 20 million Euro but as the number of vehicles purchased by Croatia had been reduced the bribery amount is reported to have ended up being 3.1 million Euro! The claim against the three Patria managers is now a public document and Vecernji List writes that the Finnish Prosecutor Jukka Rappe emphasises, once again, that the Finnish side has not nor does it have the jurisdiction to confirm the guilt of Croatian citizens in the matter and that they have not confirmed yet as to whether the persons named in the claim (Mesic, Greguric, Jerkovic) had received the bribes and that the investigation into these bribes is in the hands of the Croatian Attorney General’s office (DORH). The trial in this case commences in Finland in September. The Finnish Prosecutor Rappe has reportedly stated in public that this case is very complex because some accounts were falsified, and they do not know everything that was paid for! Well, well, well – if these claims prove to be true, it does not surprise me at all that there seems to be a lack of records for what was paid for to Croatia where Stjepan Mesic is implicated. It all sounds to me very much like the “little” sad story of Stjepan Mesic and the obviously highly suspect trail of money for humanitarian aid to Croatia given to him in 1992 in Australia to take to Croatia and have the cheques for tens of thousands of dollars in the name of Croatian National Fund deposited in the bank in Austria. To my knowledge (and I have had access to the relevant bank account statements of the time), the cheques never got deposited in the bank, no one knows to this day where the money went, Mesic had claimed that he forgot about carrying the cheques, that when he discovered one in the pocket of his coat after one year from returning from a trip to Australia, then, some 15 years after the fact, he remembered giving that cheque to the then parliamentary speaker Zarko Domljan to use for the renovations of the Croatian government offices bombed by Serbs in 1992! I doubt that the cheque was given to Domljan or money spent for renovations, but even if it were the case one must ask the question: how was it possible for someone like him – who was NOT a signatory to the cheques’ beneficiary bank account – to actually cash the cheques or use them for another purpose than the one the funds were raised for among Croats in the diaspora!? To my understanding and knowledge this could only have been done through corruption. And, of course, if the cheque was given to Domljan, then it would have been cashed by persons other than those who were signatories to the bank account to which the cheque was made (the Croatian National Fund bank account in Austria has been reported as not having processed the cheques in question at all!). Mesic never explained how this was possible, let alone the awful and corrupt reality (if it’s true that he gave the cheques to Domljan) in which he admits he decided to use other people’s money (donations for a specific and different cause) for purposes he himself decided upon without any reference whatsoever to those who donated the funds! It is utterly gut wrenching to think that Croatian authorities may still not have taken it upon themselves to investigate these war profiteering allegations connected with Mesic, which have been in the public arena with what one could easily conclude a great amount of evidence for the past 15 years, at least. I wonder if he saw to a similar scenario when it comes to moneys that came in from Patria arms deal, siphoning off the bribery cash into private pockets? Perhaps not, perhaps yes – in any case these are allegations that must be investigated regardless of any investigation’s outcome for they are within the public interest domain. So, is the Croatian Attorney General’s office – DORH – going to investigate the allegations of bribery by the Finnish Prosecutor, or is it investigating it already? Certainly, the possible excuse for not doing anything in Croatia about these allegations in the form of “the Finnish courts have not finished yet…” would be utterly pathetic. Slovenia had investigated the alleged solicitation of bribes while signing a defense contract with the Finnish company Patria for a supply of armoured vehicles, its former PM went to jail for it so – where are the investigations in Croatia of allegations that former president Stjepan Mesic and former PM Franjo Greguric may have been involved in bribes from Patria, then!? Of course, as usual, Mesic vehemently denies any wrongdoing! So, does Greguric. But that is no excuse for Attorney General’s office (DORH) to stay on the sides and not investigate these serious allegations of bribery now reportedly included in the indictment documents against three Patria managers put to Finnish court by the State Prosecutor. If Croatia’s former attorney general, Mladen Bajic, did nothing then perhaps the recently appointed Dinko Cvitan will? The District Court in Hämeenlinna, Finland, had at end of January 2014, handed down the first decision in a Finnish court on the latest Patria bribery case. Patria, a majority state-owned defence contractor, was accused of paying bribes to Slovenian officials in connection with an armoured vehicles deal. The court rejected the charges, though it said a reasonable doubt remained. The Finnish State Prosecutor has lodged an appeal against this decision with a higher court, requesting the integration of the Slovene and Croatian Patria bribery cases into a single trial. Radi Ina i na svoj rođendan. Još jednom Svako Dobro Ina! Translation of CROATIAN CENTER OF RENEWABLE ENERGY SOURCES: Ina works even on her birthday. Once more, All the best, Ina. You put excellent researched detail into your posts, Ina. It would seem Stjepan Mesic knows quite a bit about political intelligence – he had I believe invented quite a bit of it with lies against the late President of Croatia Franjo Tudjman. There is truth in the old saying: “What goes around, comes around” so Mesic is in for a “treat”. The only difference is that allegations against him do not seem to be lies. It was and is quite sickening to know what he was/is capable of, Bumble. Perhaps he is innocent of allegations of bribery from Patria but I would think that Finland’s public prosecutor has done thorough research before including such specific claims into the indictment. It is to expect that if bribery did go down those involved would have covered their tracks thoroughly, but the thing about covering is that one can never cover up completely. 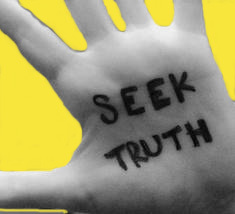 God has his ways of revealing the truth sooner or later. It makes me angry that leaders get away with corruption. We in Montreal have our own corruption where Arthur Porter, was arrested in Panama, after fleeing his CEO post in the contract to build a superhospital where over 30 million dollars were paid to the staff in unapproved funds. I realize that it is not at the level of arms deal that Mesic was involved in but the world would be a much better place without corruption at any level. Thanks, Ina, for this clarification. Such a sad tale. I SURE HOPE CROATIA IS MORE MANLY THAN SOME NATIONS! It does, Jalal, a strong reason to keep fighting the buggers. Really, it’s ironic that the bearded ninny accuses others of malice and lies. What a comedian. While on the topic of corruption, it’s interesting that Roger Rogerson, the former policeman who arrested three of the “Croatian Six” is now behind bars suspected of killing a young man over a drug deal gone bad. You can decide for yourseleves what this says about the integrity of those involved in investigating and prosecuting the case of the Croatian six. What’s horrible is how this man was even allowed to walk free, despite the fact that he had dealings with the criminal networks for years. I expect more of a country like Australia. Oh, how I hate corruption. Cat,you must be HDZ voter,nobody hates corruption as they do,lets not talk,mention DELETED and rest of them,lets keep. 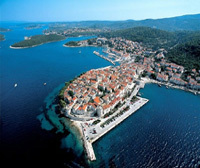 It a secret from Cro people. Alija – part of your comment where you list names of people that have not been charged nor mentioned in any corruption indictments – your opinion without actual facts or proof are not allowed here as they constitute personal attacks without facts that have been picked up by an authority as official matter. Every party everywhere so too in Croatia has corrupt individuals, the matter is in processing them as individuals and no collective guilt, thanks. SDP in Croatia like HDZ has individuals against whom serious corruption allegations have been made and some are being processed. DELETED has been found guilty ,only wasn’t sentenced because of statue of limitations.I hope you know that HDZ has also been found to be DELETED by Cro courts and ordered to pay back 30 mill kunas. Strbac, Documenta and Jutarnji Prist were all celebrating Gotovina and Markac’s conviction for years, to and include the morning of – their acquittal. Stipe Mesic is a proven liar, traitor, war profiteer, and KOS operative (named along with Boljkovac and Spegelj in Kadijevic’s memoirs). The Patria money grab is just one coin in an Adriatic Sea of corruption, cronyism, nepotism and outright thieving treason by Stipe Mesic. Dikobraz, time is running out for you and your clique. I am afraid it is human nature. . .